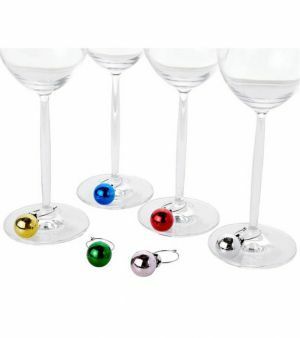 The holiday season is a special time where family and friends are able to gather together to celebrate the holidays. Some of our favorite memories are the traditions made this time of year. 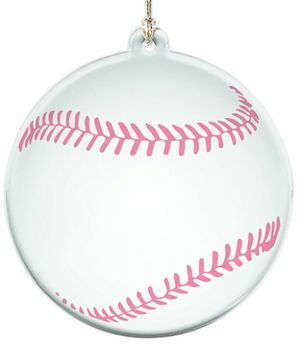 Make it even more special this year by adding a personalized christmas ornament to the tree. 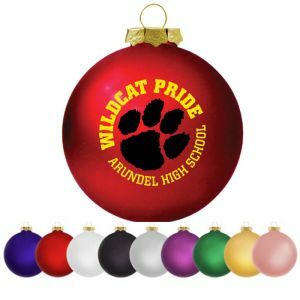 Our Christmas ornaments are custom printed and available in all styles, sizes and colors making it easy for you to design your own. 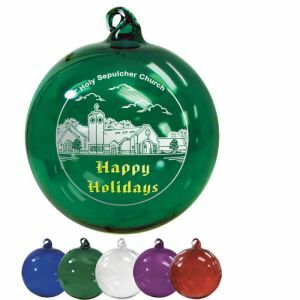 You can choose from shatterproof ornaments, glass ornaments, ceramic ornaments, wood ornaments, and acryllic ornaments. 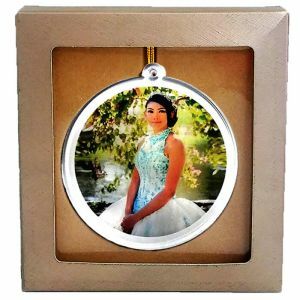 Our photo ornaments work perfectly as logo ornaments, family ornaments, ornaments for wedding favors or even company holiday parties. 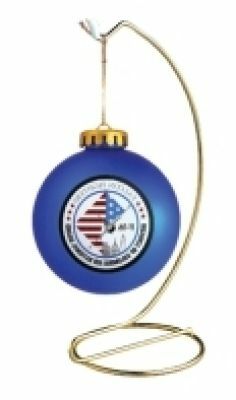 What better way to usher in the holidays and festivities than to give some of these Christmas ornaments away and spread the cheer? 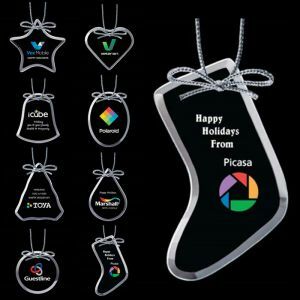 People love to be reminded that the holidays are coming, and designing your own custom printed ornaments is the best way to remind them of that. 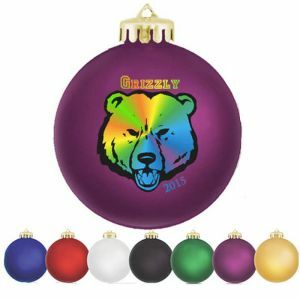 Make this holiday season the most joyful yet by choosing from our wide selection of ornaments. 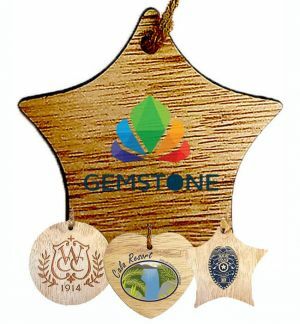 Adding your logo to a Christmas ornament couldn't be easier. 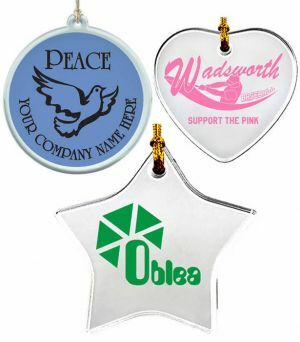 Whether you're school or company looking for custom logo ornaments, just follow these simple steps. 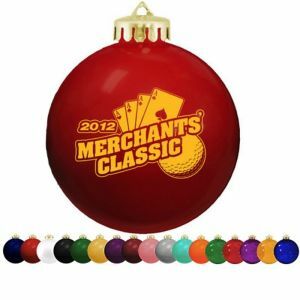 Promotion Choice offers a wide selection of ornaments. 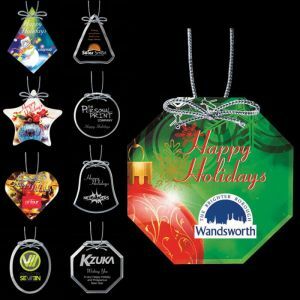 You can choose to design custom glass ornaments, plastic ornaments, heart ornaments, ball ornaments, ceramic ornaments, or photo fram ornaments. 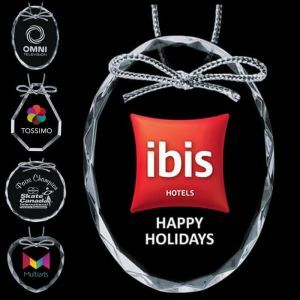 Select the ornament that you like the most. 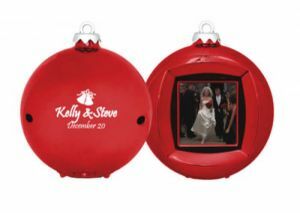 If you have a custom design or logo you want to add, upload your logo with positioning instructions. 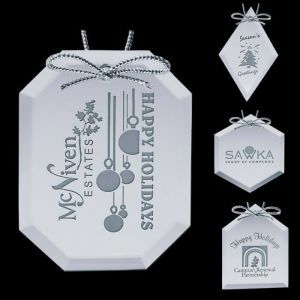 You can also order samples before actually ordering. 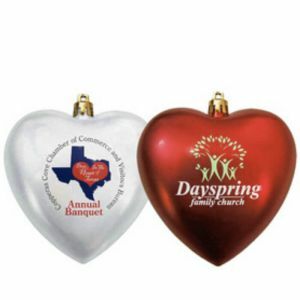 We'll imprint your design or logo on the ornament, and send it out within days. 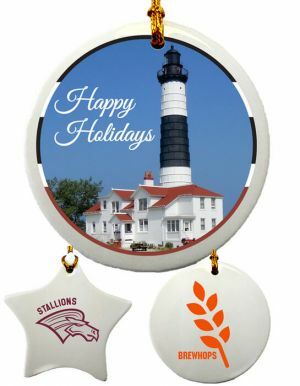 Are you a college, school, or retail store looking to buy personalized Christmas ornaments in bulk? 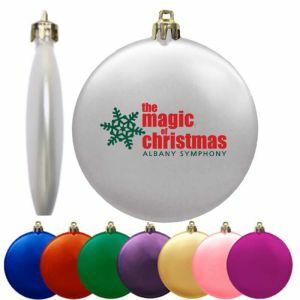 We offer wholesale personalized Christmas ornaments at a cheap price due to our longstanding vendor relationships. 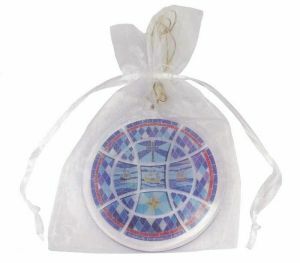 Promotion Choice will work with you to ensure that we both create the best ornament possible. 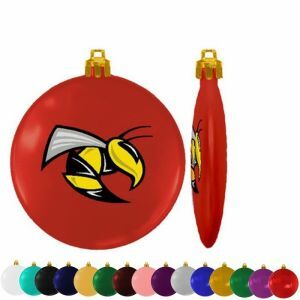 If you have a custom design idea, contact us to learn more about how we can fulfill bulk orders of wholesale Christmas ornaments.